Today I will share some tips which will help you to effectively spend time in Gmail inbox. There is a saying “For every minute spent in organizing, an additional hour is earned”. Well, this is one of the most important factors that decide the efficiency of a work. Official communication is one such important activity in life that calls for a lot of planning and organization. Be it the emails in your office or a short speech in a meeting, planning them properly is always a good idea. There is a strange problem being experienced by regular email users in a business. Hundreds of emails are taking on the inboxes everyday and people get anxious on keeping them too long. A lot of time is being wasted in checking these mails (though you will find that most of these are junk mails). The need for a prompt communication is another thing that is forcing them to check emails instantly. But all these need to be organized such that the other tasks for the day also get equal attention. Here are five simple tips that can make your mailing life more productive. Well, learning all the keyboard shortcuts and using them may sound a ridiculous job. But as you keep working you will learn that the keyboard is one thing that will increase your work speed tremendously. To begin with, keep your Gmail keyboard shortcuts option turned on by going to the “Mail Settings” page. Then go to “keyboard shortcuts” and turn them on. Here are few shortcut options that might be of great help to you. In the inbox page, use the j and k keys to move up and down and the Enter key to open a particular mail. Press the g and I keys one after the other instantly to go back to the inbox. 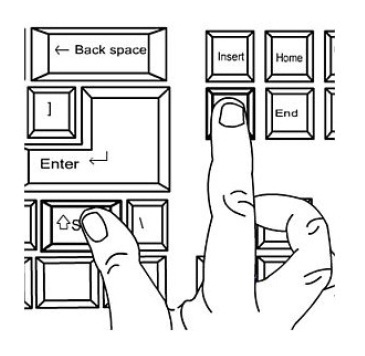 Press the c key to compose a mail. Use R key to replay a mail. Use the A key to reply all the recipients present in a message. Use the E key to archive a message. Press the Shift + U key to mark a mail as unread. To send a message, tap the Tab + Enter key. And if you forget any of these keys, don’t worry, just tap the ? (question mark) Key and you will get the shortcut help screen. When you want to paste a content and want only the text part of it, use the ctrl + shift+ V.
The Boomerang Plug-in can be used in reminding you of clients or colleagues that have not responded to your mail for a short period of time. 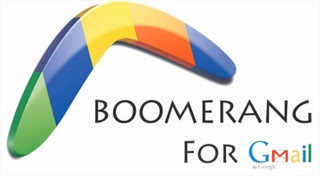 While sending a mail, the tool reminds you to boomerang the mail and remind you after a specified time. You may set up your own time. After the specified time, the email appears on the top of your inbox. This way you can easily keep track of the responses from clients. 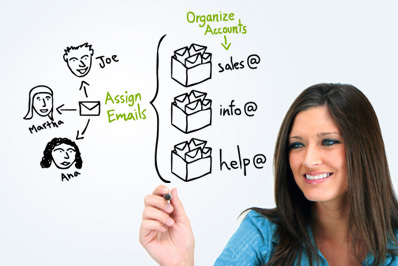 With a big number of emails occupying your inbox, it would only be smart on your part to organize them well. Tagging is a powerful method of distinguishing the most important emails from the rest. It is very important to tag your emails intelligently. Another excellent method to keep track of the to-be-followed mails is to mark them as unread and it will show in bold in the inbox. You may even consider achieving them after reading your mails. If you are sure you do not need an email in the future, you may delete them for minimizing the bunch. The easiest way to archive your mails is to press shift + 8 and then immediately followed by R. All the read messages are selected. To archive them, simply press E.
Gmail’s beta offer known as Gmail Labs contains tons of interesting and effective ideas that can convert your average Gmail usage standards to be very productive. Also Read : Secure Your Gmail Account Using the Two-Step Verification. Sometimes time is more valuable than money. “Money spent can be earned but it’s not the same in the case of time”. The methods described above can be a very handy time-saving process to organize your Gmail inbox. How to Check Your IP?